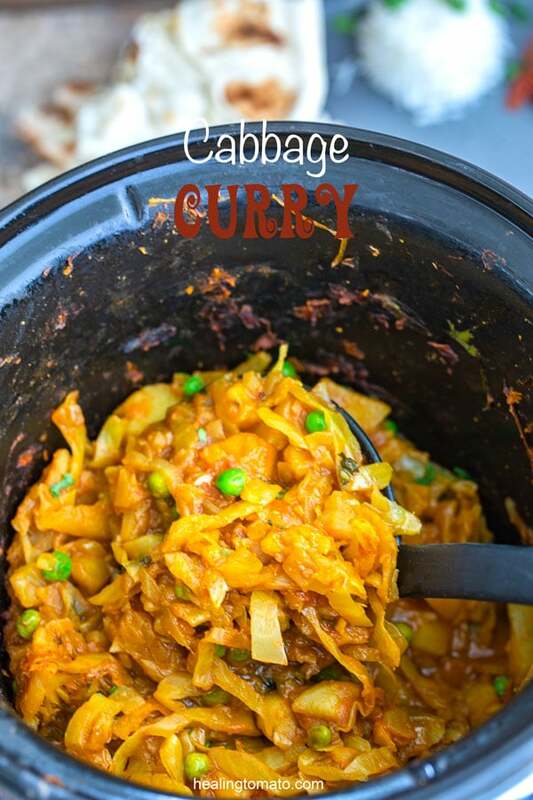 Vegan Cabbage Curry made in a slow cooker. 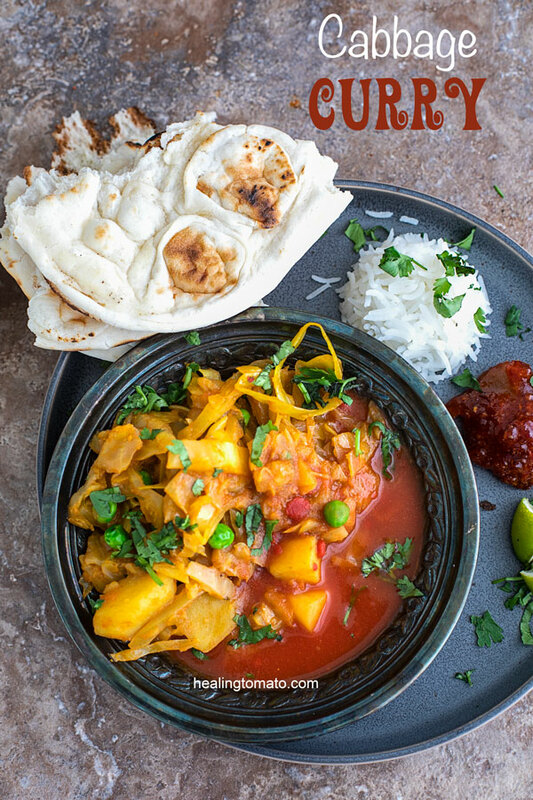 Effortless curry recipe made with easy spices. 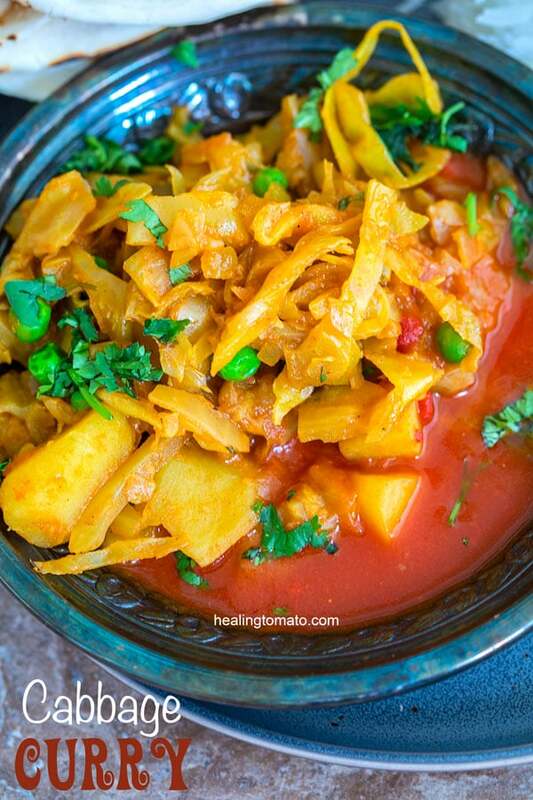 This is a hearty Indian cabbage curry recipe with potatoes and peas in it. I love curries of all kind and I cannot lie! Seriously, y’all, I love curries so much! The main reason I love curries is because there are so many ways to make curries and the ingredient list is sky high. I don’t think you can make any curry the same way each time because you can always add variety to it. These curry is different from anything I have made before. 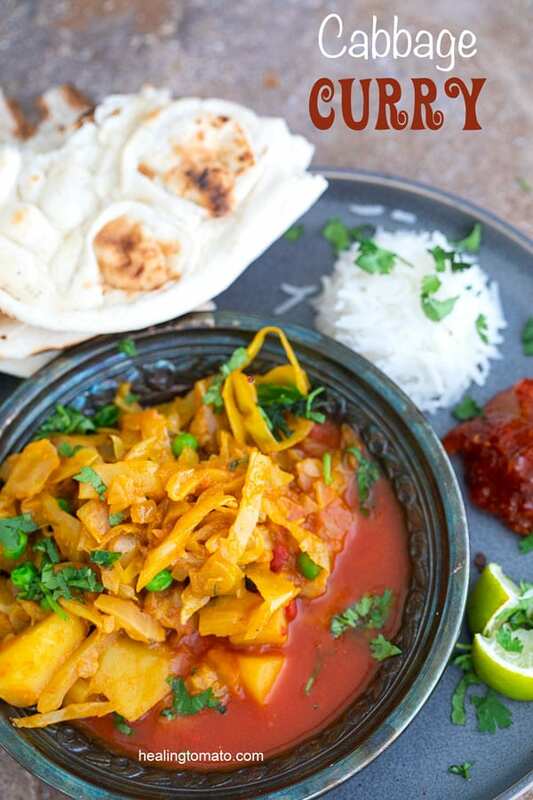 I had never put cabbage in a curry before this recipe and I am kind of kicking myself for not doing it sooner. We always ate cabbage in a dry recipe. The only liquid in it would be oil and a few drops of water. So, I felt it was time to change it up a little. 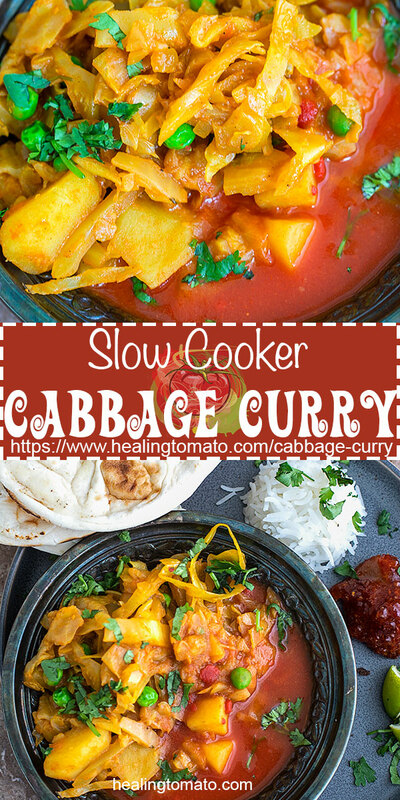 Can you make cabbage curry on stove top? 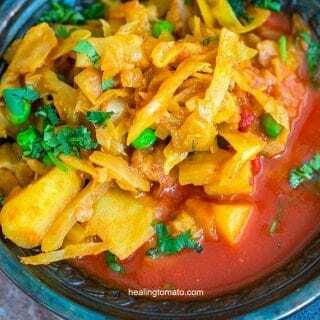 Can you freeze this cabbage curry? 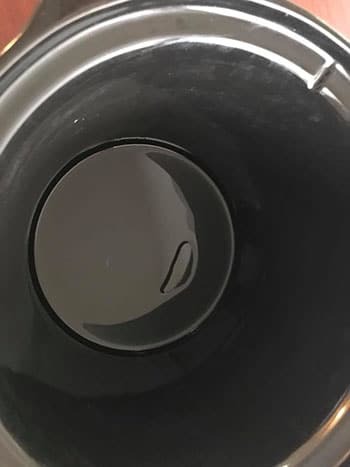 Curries have always been made stove top or open flames. As new gadgets came into existence, curry recipes were adapted for those devices. 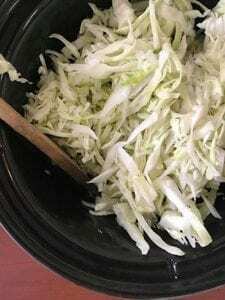 I have loved trying to figure out how to cook cabbage in pressure cooker because it cooks it evenly and quickly. I have a recipe coming soon where the cabbage and pressure cooker are going to produce an amazing recipe. 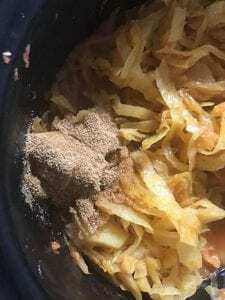 I have always found cabbage to be hard to cook no matter what gadget I am using to cook it. 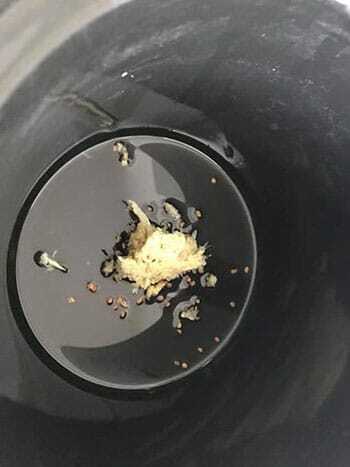 It takes so long to cook it because its dense and thick. 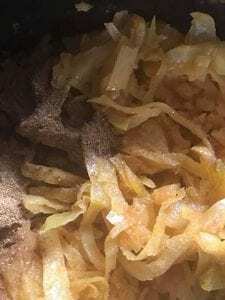 Water and steam take a long time to permeate the cabbage cells. So, one trick I have learned is that the smaller I make the surface area, they faster the cabbage will cook. You don’t want to know how many cabbages I had to cook before I came to that conclusion! 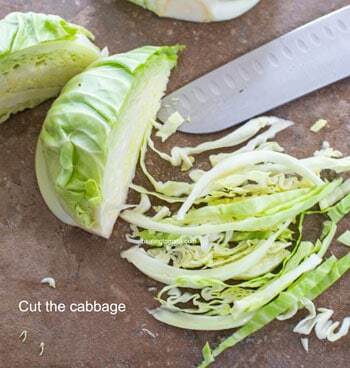 This is also a trick I learned after years of trying to cook cabbage perfectly. 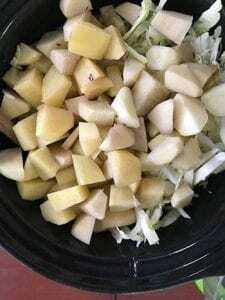 I found that pre-soaking the chopped cabbage while I assemble the other ingredients, helps soften the cabbage and make it cook faster. I have been soooo guilty of not doing this too. I will chop cabbage and just start cooking it. The funny thing is has grooves and cracks where dirt tends to nestle itself. Its funny how we all forget that fun fact. Yes, you can. But, I find it is much easier to freeze individual portions of the curry. This way, its so much easier to thaw it. My preference is to put it in meal prep containers with rice and refrigerate it (not freeze it). This way, it retains its flavors, especially the spices. When I freeze it, I find that it doesn’t always retain the flavors. Oh my! This is like asking a parent to choose a favorite child! I love so many different curries for all their complexities and flavors. 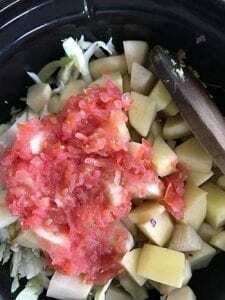 – My favorite accomplishment as far as testing new curry recipes is this watermelon curry. 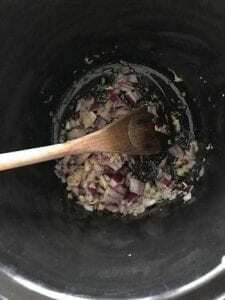 It was a Rajasthani take on curries and it remains my all time favorite experiments. You have to try it to see what I am talking about. 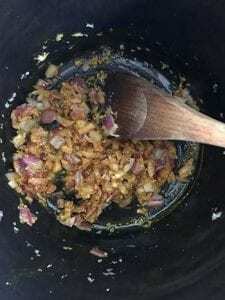 – A curry that I make often is my sweet potato curry. It does use a few exotic spices, but, they are all worth it. – You have never had corn on the cob this way. I put corn on the cob in a creamy coconut curry and it was DELICIOUS! Try it today and let me know what you think! 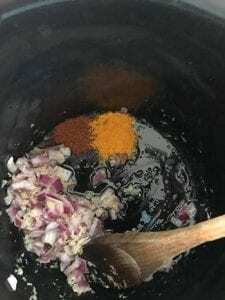 Check out all my other curry recipes and tell me YOUR favorite. 8) Add the red chili powder and turmeric in an empty spot at the bottom of the slow cooker. 9) Wait for about 30 seconds before stirring. The heat activates the flavors of the spices. 16) Add the cumin + coriander powder. You can find it in your local Indian store of get it from (affiliate link) Amazon. 17) Add the garam masala which can also be gotten from (affiliate link) Amazon or your local Indian grocery store. 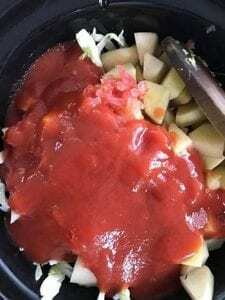 18) Mix well and close the lid. 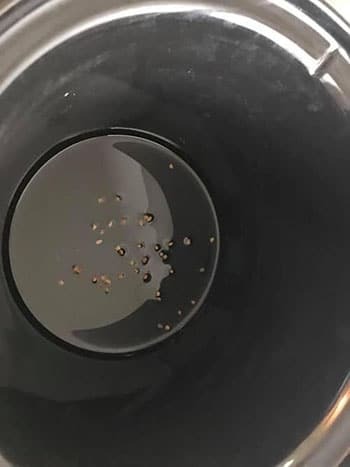 Cook it for another 2 hours, but, be sure to stir often. 19) After these 2 hours, add the peas to the slow cooker. 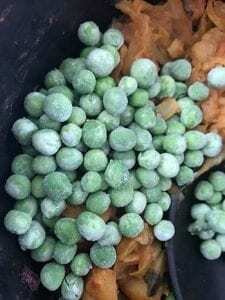 If you are using frozen peas, do not thaw it. Let the slow cooker do the work for you. 20) Cook it for another half hour and it should be ready after that. 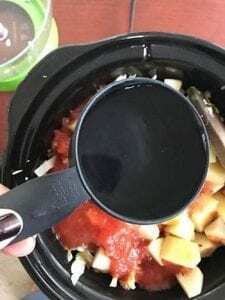 21) If you are not ready to serve it, keep the slow cooker on “keep warm” settings. Add the red chili powder and turmeric in an empty spot at the bottom of the slow cooker. If you are not ready to serve it, keep the slow cooker on "keep warm" settings. 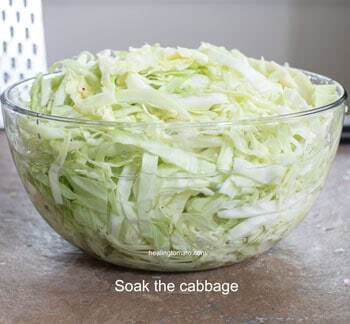 - Place the cabbage strips in a colander and wash it under the tap. Most of my childhood memory includes getting yelled at by my mother and eat your veggies; but I used to pay no heed to it. However as time passes, most of us come around to eating vegetables as we are aware of the countless benefits they have for our health. 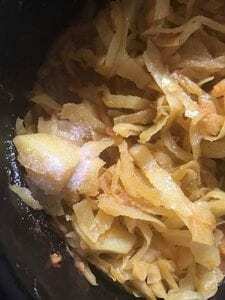 This cabbage recipe when I tried at home was not really appreciated by my family but it was really yummy too. Thanks for sharing this delicious preparation.